 Adventurous storylines and engaging characters.  Fun, dynamic and involving.  Clear grammatical syllabus. 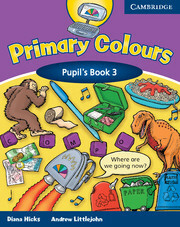 Stories, songs, puzzles and games make Primary Colours fun, dynamic and involving. 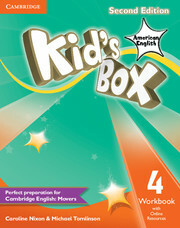 Lively characters help children understand and have fun with English. The Teacher's Book offers step-by-step guidance and contains a bank of extra materials and support, including an A-Z of teaching young learners. The Activity Books are in full-colour, and at Starter and Level 1 have sticker activities. The course is easy to use and supported by a grammatical syllabus with clear lesson aims.